Replanting even a portion of your landscape with local, drought tolerant plants and grasses can save on your water bill. Clarita Valley we’re seeing its effects as the County of Los Angeles announced that Castaic Lake will not be open to swimmers this summer. Anyone who has lived in California for any length of time would know that we’ve had our experiences with drought before, and this isn’t necessarily our “first rodeo” when it comes to water conservation. However, as our city grows in population, utilities and resources are becoming more taxed, even in non-drought years. So it might make sense to plan for long term water conservation in an effort to maximize our most precious resource. As a homeowner, conserving water shouldn’t mean that you must sacrifice the aesthetic appearance and “curb appeal” of your home’s exterior. So how do you make a long term commitment to conservation, while not having a brown lawn at the same time? Consider drought tolerant local plants and grasses for your landscape. We know what you might be thinking. You look out over the hills surrounding the Santa Clarita Valley and you think that we’re referring to the native grasses that turn brown in the summertime. However, did you know that some grasses are more water tolerant than others? Fescue is one of the more popular grasses used for most lawns here in the Santa Clarita Valley. It’s fairly easy go grow, and it’s evergreen with no winter dormancy. Many people overwater this grass without realizing its hardiness. You actually only need about an inch of water per week for Fescue grass, as the roots grow deep. That being said, you may consider using at least a portion of your lawn to add more drought tolerant plants that require little water and maintenance. Many of these plants will do just fine with soakers rather than sprinkler heads. 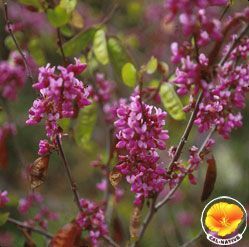 Here is a link to some of the more popular native (and drought tolerant) plants for your Santa Clarita home. More information and education on native plants and grasses. The Conservatory Garden and Learning Center, located off Bouquet Canyon at Central Park, displays over 350 drought tolerant native plants and grasses. They also provide water-wise gardening instruction and hands on displays. Even in these drought like conditions, you don’t have to sacrifice the quality and value of your home’s “curb appeal” while conserving water!